13 April 2016, Dubai UAE: The Maritime Standard Awards (TMS Awards) 2016 will take place at the Atlantis Ballroom, Atlantis The Palm, on 24th October this year. This is the third year in a row that the event, now firmly established as the leading gala awards evening of its type in the Middle East and the Indian Subcontinent, returns to this iconic venue, to build further on its already impressive track record of success. The glittering event recognises and rewards achievement at the highest level and will be attended by over 600 top maritime industry executives and decision-makers from across the region, as well as worldwide. A total of 29 Awards will be presented on the night, with 21 chosen by an elite panel of judges. The others will be special awards chosen by The Maritime Standard team to mark exceptional individual achievements. This year there will be two new Awards - for best company in the fields of Marine Crewing and Manning and Maritime Security. A host of leading companies from the region’s shipping and maritime and related industries have already confirmed their attendance, and sponsorship. 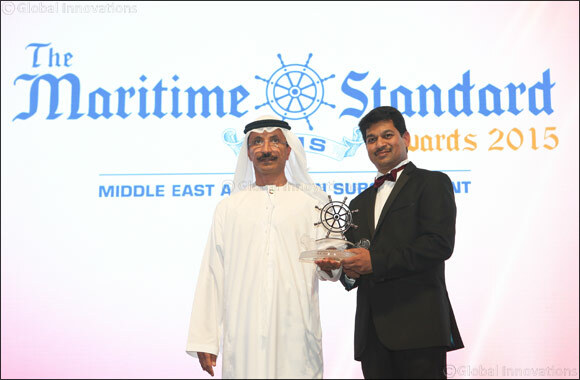 Those organisations supporting The Maritime Standard Awards 2016 include the Abu Dhabi Ports, Abu Dhabi Ship Building, DP World, DNV GL, Drydocks World, Dubai Trading Agency, Abu Dhabi Marine Services, Islamic P & I Club, Kuwait Oil Tanker Company (KOTC), Oman Shipping Company S.A.O.C, Sohar Port and Freezone, Mercmarine Group of Companies, Seaborne International, Sical and The National Shipping Company of Saudi Arabia (Bahri). The Awards also have the support of regional trade associations such as the UAE Shipping Association (UAESA), Dubai Shipping Agents Association (DSAA), Organisation of the Islamic Shipowners Association (OISA) and Dubai Council for Marine and Maritime Industries (DCMMI), Institute of Marine Engineering, Science & Technology (IMarEST), Indian National Shipowners’ Association (INSA), Pakistan Ship’s Agents Association (PSAA) and The Women’s International Shipping & Trading Association (WISTA).